The ¡VAMOS! North East programme will be announced in the coming weeks but in the meantime… ¡VAMOS! Leeds! ¡VAMOS! Leeds! returns this year for its 5th edition. Taking place on Sunday 21st July 2019, 12pm-8pm, the programme is bigger than ever, with two extra-special international acts; Peruvian band La Inedita and the Spanish act Ortiga – we know they’re sure to get everyone on the dancefloor! 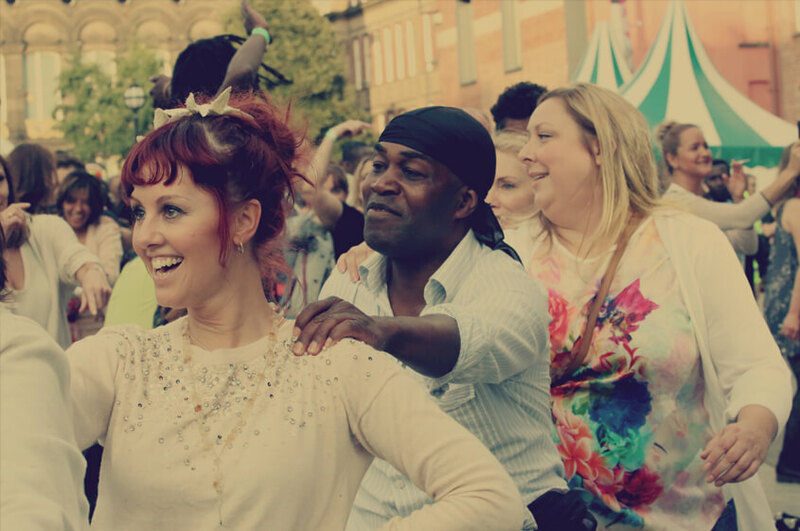 Curated by Lubi Jovanovic, Millennium Square will also become home for the day to a huge range of fantastic performers and musicians; from percussionists to DJs to dancing! To top it all off; a delicious offering of Latin American street food and drink will be available. ¡VAMOS! Leeds is supported with funding from Arts Council England, Leeds Inspired, part of Leeds City Council, National Lottery Heritage Fund, Instituto Cervantes and Pura Panela. Follow the link for more information and the full line up. Photo by Michael Arce Delgado.